Human beings have an intimate connection with water. Research suggests that the presence of water – from an ocean beach to a city fountain – helps to promote a sense of well-being by reducing stress. Matthew Placzek’s beautiful and soothing water-feature sculptures create peaceful, calming spaces for all who visit. 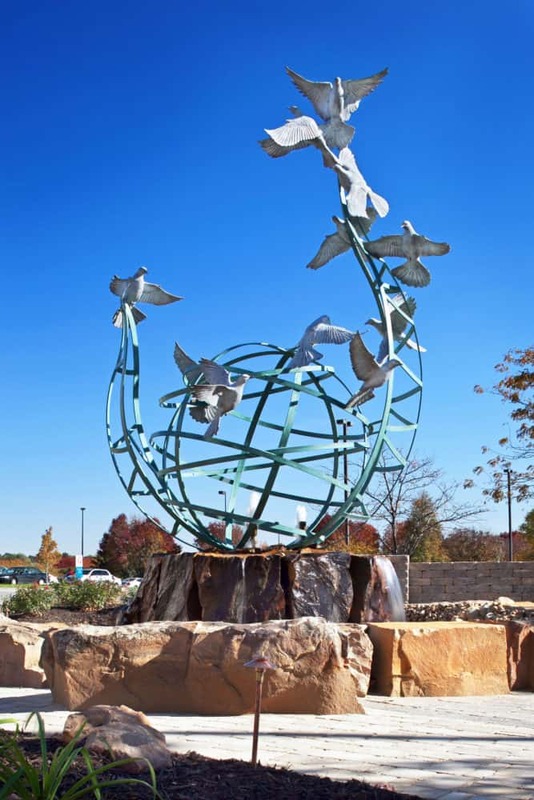 Many of these sculptures can be found in healing gardens, such as the one Serenity (pictured above) located at Immanuel Medical Center in Omaha, Nebraska.